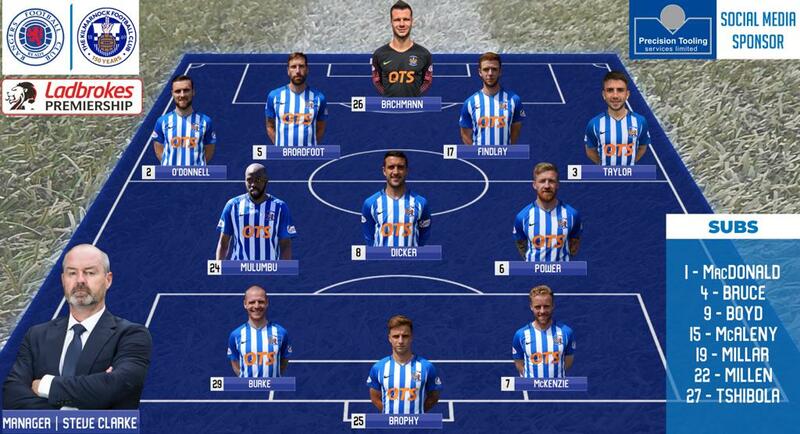 Bachmann, MacDonald, O'Donnell, Broadfoot, Findlay, Taylor, Dicker, Power , (Millar 72), Burke, Mulumbu , (Tshbola 69), McKenzie, Brophy, (McAlney 5). Subs Not Used: MacDonald, Bruce, K Boyd, Millen. Rangers' Premiership title dream has all but ended after they were denied by Kilmarnock at Ibrox. The 1-1 draw, Rangers' fourth game without a win, means they are way off the pace in the title race. Kilmarnock were in the lead in the first half thanks to Conor McAleny taking advantage of some slack defending from Rangers. Steve Clarke's side battled hard to stay ahead but Alfredo Morelos finally made the home side's dominance count as he fired home. The Ibrox side continued to pile on pressure but couldn't find a winner as the home supporters roared them on. 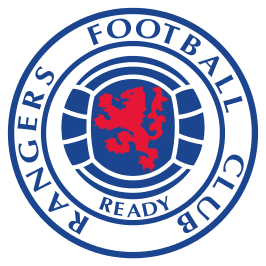 In the closing stages Goldson was fortunate to escape with a yellow card for a cynical trip on substitute Liam Miller in the dying seconds that resulted in a Chris Burke free-kick that flew dangerously across the face of the home goal. 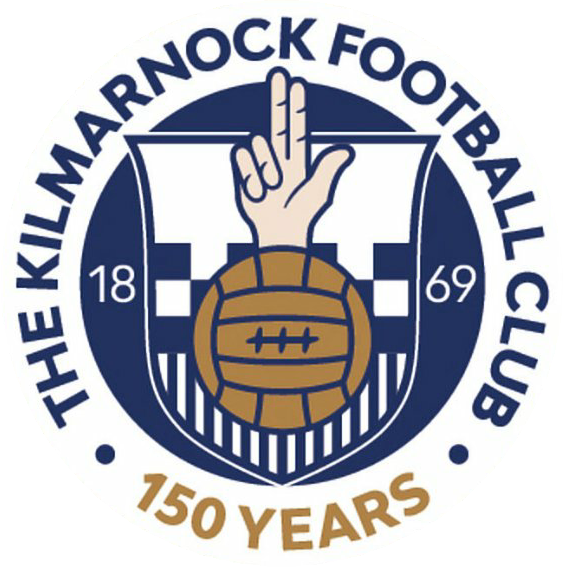 It could prove to be a crucial point for Killie as they continue to battle Aberdeen for third-place in the Premiership. The result ensured Steve Clarke's men are guaranteed to finish in the top six for a second consecutive season. Stephen Gerrard: "There could have been eight or nine yellow cards shown. Maybe we were lucky with the one at the end, but maybe Connor thinks he can do that because they've done it eight or nine times and the referee's done nothing about it, We may have been lucky, but Steve Clarke could have been lucky five or six times." Steve Clarke (Responding to Gerrard): "We were being no more than "competitive. The referee ran the game as he saw fit and, if there was going to be a red card, it would have been for Rangers. It would have been for the tackle by Goldson on Millar as he's going through on goal, a chance to get a shot away. But the ref chose to give yellow and we accept that." "Jordan Jones was fit, but I picked the team with a certain way of playing in mind. I couldn't find a space on the bench for Jordan. We defended well. We were competitive from start to finish."